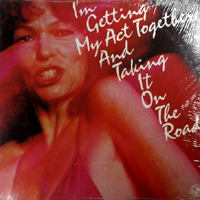 Original London Cast, 1981 (JAY) (4 / 5) This recording tries to impart a feeling of the entire show. Much dialogue is included, and the non-singing character Joe is an essential part of the proceedings. 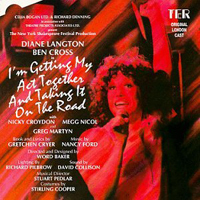 The song list is augmented by a version of “In a Simple Way, I Love You” for Heather and a fun throwaway number for Jake, “If Only Things Was Different.” Diane Langton is Heather, and Ben Cross is Joe. Langton’s singing is solid throughout; she belts “Happy Birthday” and “Natural High” with conviction, and is remarkably touching in “Old Friend” and “Dear Tom” (about Heather’s ex-husband). Throughout the recording, she receives strong vocal support from Nicky Croydon and Megg Nicol. Gregg Martyn sings attractively as Jake, who flirts with Heather but is rejected because she finds him too young. (To get this plot point from the Off-Broadway cast album, you must read the synopsis.) All the songs are very well set up by the dialogue, and therefore seem to have more of an emotional center here than they do on the the previous recording. Having Cross as Joe fully participate in the recorded action gives Heather an obstacle to play against, so the listener is aware of what is at stake within each number. The argument over how much dialogue, if any, should be included on cast albums is endless, but comparison of this recording with the one reviewed above demonstrates how a show’s songs come across with greater strength on a recording when put in their dramatic context. — J.D.